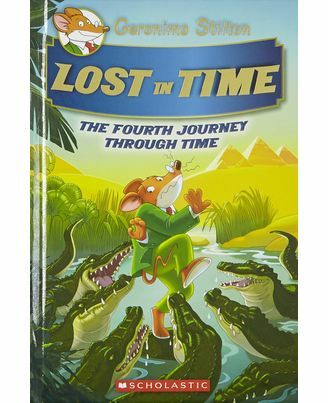 Geronimo Stilton, have to travel back in time to save a friend! Professor Paws von Volt needed his help. He had traveled to the past alone to prove that an artifact in the Egyptian Mouseumwas genuine - and now he was lost in time! His friends and Geronimo boarded the professor's newest time machine to go find him and ended up on a crazy trip through history. He met Cleopatra, Genghis Khan, famous poet Dante, Queen Elizabeth I and more. It was a fabumouse journey! But could he find the professor and make it back to the present? Geronimo Stilton is a best-selling children's book series published by Edizioni Piemme of Milan, Italy, since 2000. 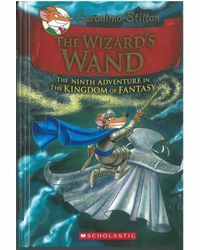 Scholastic Corporation has published the English version of the series since February 2004. Although the series credits its title character as the author, the idea was originally thought of by Elisabetta Dami. On older novels, the copyright is issued to a pseudonym "Geronimo Stilton"; this was changed on newer books. The books are intended for readers in the 6 12-year-old age range. 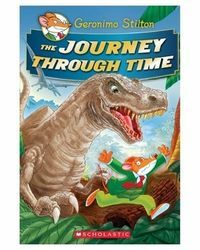 Geronimo Stilton, have to travel back in time to save a friend! Professor Paws von Volt needed his help. He had traveled to the past alone to prove that an artifact in the Egyptian Mouseumwas genuine - and now he was lost in time! His friends and Geronimo boarded the professor's newest time machine to go find him and ended up on a crazy trip through history. He met Cleopatra, Genghis Khan, famous poet Dante, Queen Elizabeth I and more. It was a fabumouse journey! But could he find the professor and make it back to the present?About the Author :Geronimo Stilton is a best-selling children's book series published by Edizioni Piemme of Milan, Italy, since 2000. Scholastic Corporation has published the English version of the series since February 2004. Although the series credits its title character as the author, the idea was originally thought of by Elisabetta Dami. 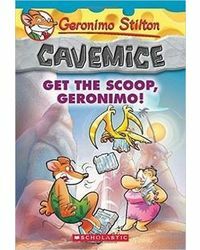 On older novels, the copyright is issued to a pseudonym "Geronimo Stilton"; this was changed on newer books. The books are intended for readers in the 6 12-year-old age range.